The FALKE Harvest Trail Run at Morgenhof Wine Estate on Sunday, 18 March will mark the start of the 2018 FALKE Trail Run Series in association with Dirtopia and the Greater Simonsberg Conservancy (GSC). The GSC is situated in an area that has precious fragments of critically endangered Swartland Shale Renosterveld and Mountain Fynbos. The farmland area currently covers over 4000Ha of which 32% is designated for conservation. According to FALKE Group Marketing Executive, Keaton Quarmby, the trail run series provides the perfect platform to engage directly with discerning consumers with a sense of adventure, love of nature and appreciation for innovation and technology that are inherent characteristics of the FALKE product offering. The FALKE advanced performance running socks range has been specifically engineered to suit the South African climate and terrain. Elements such as the trademark Drynamix Moisture Management System, hand-linked and seamless toe construction and strategically placed cushioning to protect feet in critical high strain areas, gentle elastic arch support, reinforced heel and toe and distinctive cushioning ensures ultimate wearer comfort and lasting durability. During the first event of the season at Morgenhof, runners can uncover some of the most magnificent views and single tracks, while experiencing harvest time at one of the oldest estates in Stellenbosch. Be sure to stay for a wine tasting after the run. Registration starts from 07h00 and runners can opt for the 6km or the 11km, which respectively sets off at 08h15 and 08h00. Pre-entries can be done online at www.dirtopia.co.za until Thursday, 15 March at R120 for the 6km and R135 for the 11km. All pre-entries under the age of 18 will only pay R50. Late entries will be taken on event day, if available at an additional late entry fee. A refreshment station on both long routes will keep runners hydrated. 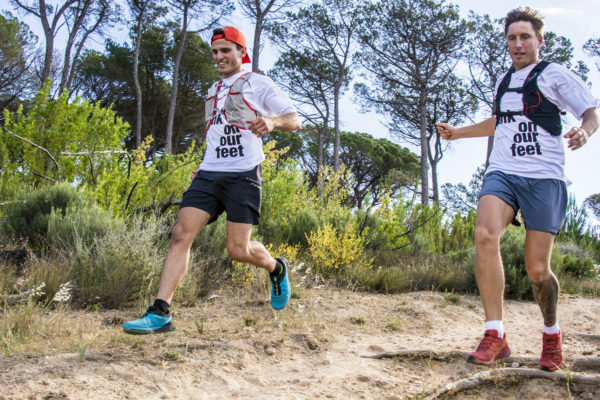 Be sure to diarise the remaining dates in the 2018 FALKE Trail Run Series and don your running shoes to make the most of the beautiful winter days in the winelands at the FALKE Wine Adventure Trail at Warwick on Sunday, 8 July. Magnificent trails and views, a wine tasting at the refreshment station on route and true winelands hospitality is all on the menu. Celebrate the beauty of spring at the FALKE Change of Season Trail Run at Uitkyk on 26 August before venturing up the infamous Klapmutskop for the annual Klapmuts Cup Trail Run at Delvera on Sunday, 14 October. Runs start and finish at the Dirtopia Trail Centre and Café. 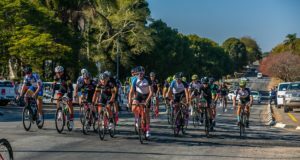 Longer routes offer great climbing on jeep track through the vineyards towards Klapmutskop with rewarding single track trails and scenic wineland views of Table Mountain. Novices and families can opt for the shorter circle track through the vineyards and around the farm dams with lots of birdlife. Wrap up the 2018 FALKE Trail Run series with the Blooming Trail run at L’Avenir on Sunday, 25 November. Gear up with FALKE socks to enjoy the scenic trails at this magnificent wine farm setting on the R44 near Stellenbosch. 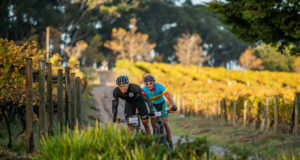 The route meanders through the vineyards with a nice balance of fun single tracks and easy flowing jeep track sections. For distances and entry details for the 2018 FALKE Trail Run Series visit www.dirtopia.co.za. Timing for all events will be done with Amarider Trail Tags. Tags can be rented or bought from the Dirtopia Trail Centre. All results are submitted to Discovery for Vitality points on condition you have timing results on www.trailtag.co.za. Results are live to all pre-entrants, while late entries and changes will only be live by the Monday afternoon. Great prizes are up for grabs for the top performing men and ladies, while title sponsor FALKE will offer fabulous lucky draw prizes. Tags can be rented or bought from the Dirtopia Trail Centre online with your entry or at registration on race day. For further event details contact Dirtopia on 021-884 4752 or entries@dirtpass.co.za. Also find daily updates on Facebook @dirtopia or Facebook. Visit www.falke.co.za for a complete FALKE range overview and online shop. Remember to tag or share your favourite running pics with @FalkeSA on Facebook and Twitter and @falke_sa on Instagram – #falkerun #falkesport.